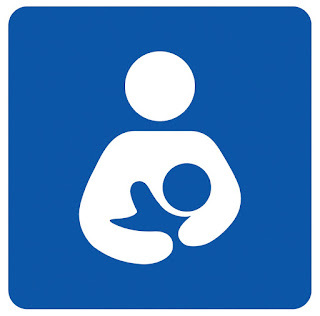 First week of August is world breastfeeding week. As a mother, I understand the confusion and problems of new mothers to start breast feeding. Post-partum stress, new responsibilities, lack of support and lack of sleep might become obstacles to breast feeding. Awareness and motivation from family is the only key. Positive spirit: It's better to know the benefits of breastfeeding before delivery itself. Keeping positive spirit that you can feed your child and milk will be enough is important. Initial obstacles on feeding position and latching of baby are very common and that is nothing to worry about. Trying again and again with patience will solve the problem. Myth of 'Not Enough milk': This is the most common worry of new mothers that milk is not enough. One good way to go with it is to feed on demand. More latching and bonding with baby enhances milk production hormones and increases supply, so be patient and try to feed as many times as infant needs. Proper seating position: Learn the proper seating position for feeding. This reduces lot of stress and helps in faster recovery. There is lot of material available on internet on this. Diet changes: Drinking more water and juices hydrates body. Leave the myths on restricting healthy foods and add fruits, vegetables and nuts in your diet. Garlic and fenugreek seeds are good for increasing milk production. Many of you might already know the benefits of breastfeeding, but let me tell you again.. Please feel free to share and spread awareness on breastfeeding. Image courtesy: Creative commercials flickr image search.